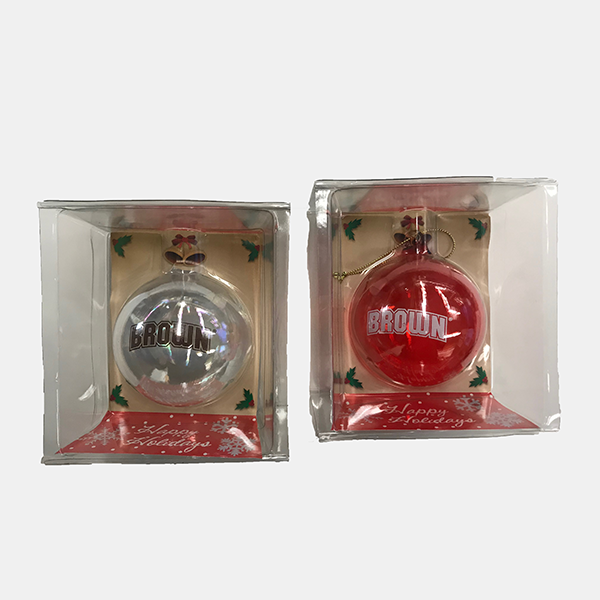 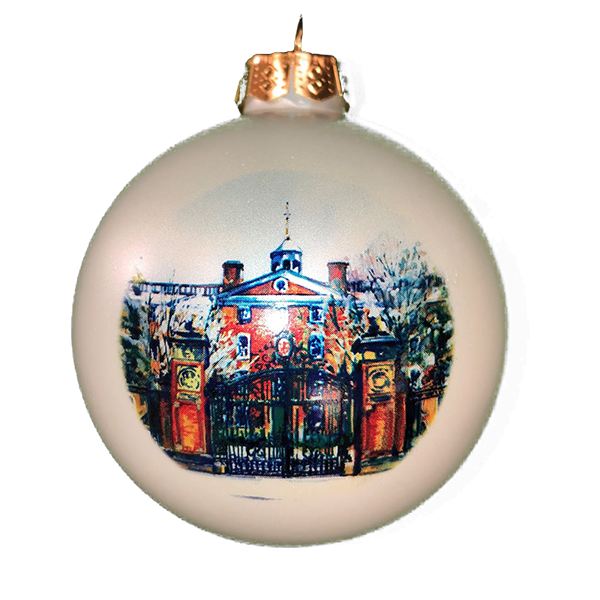 Please select option for Handblown Glass Ball Ornament - $19.99. 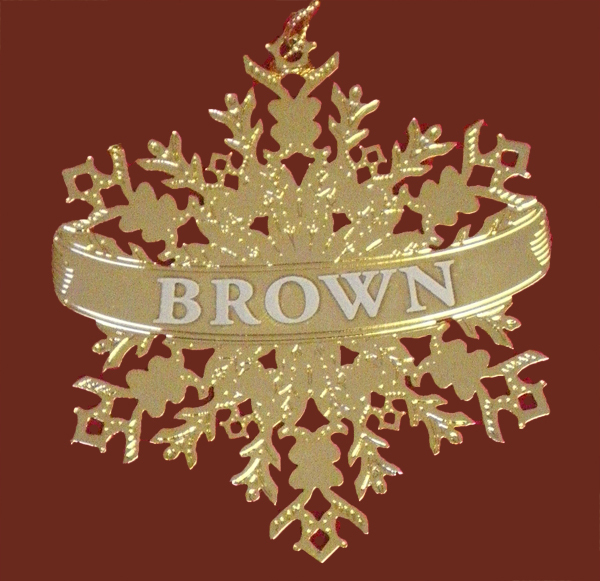 Brass snowflake ornament with 'Brown' imprinted on banner across the middle. 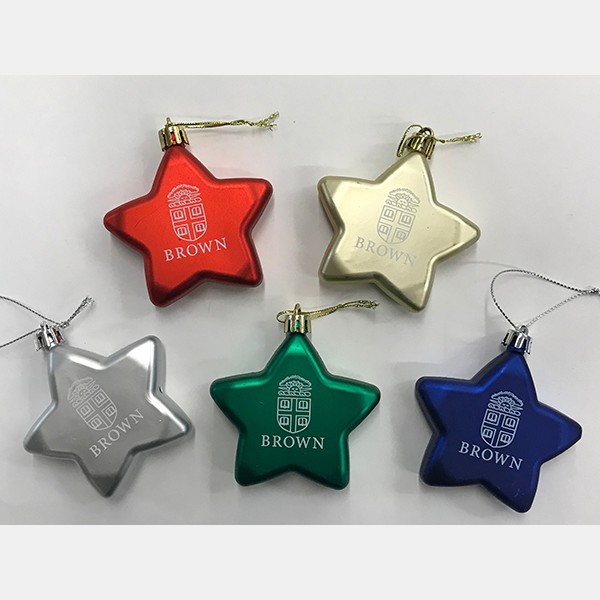 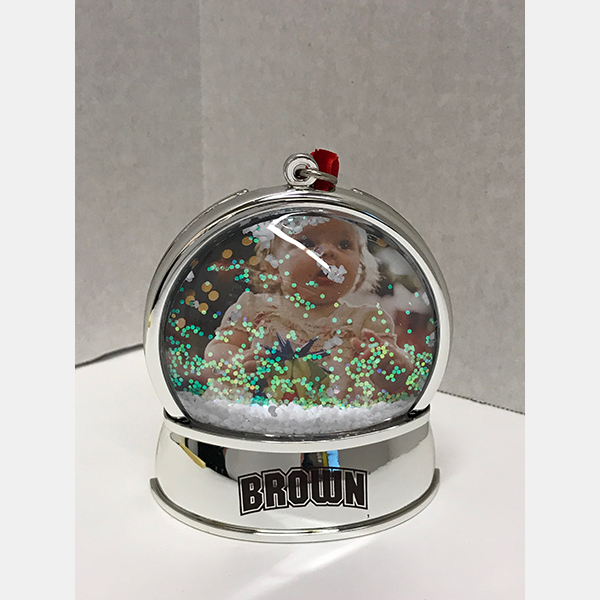 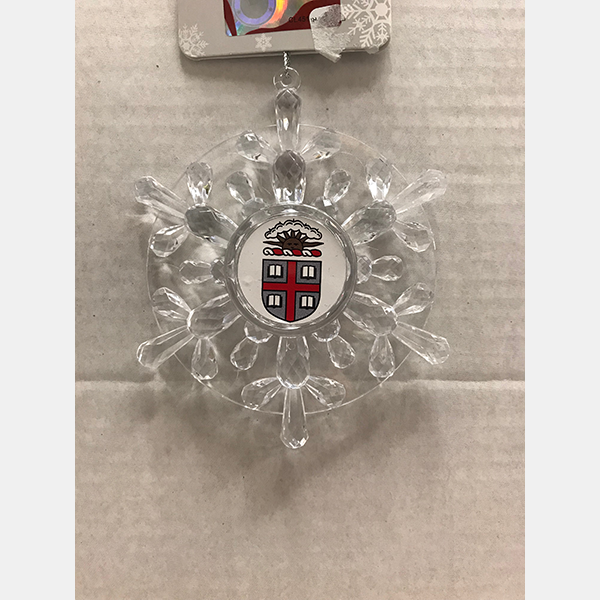 Please select option for Shatterproof Star Ornament - $12.99.